They say an old dog can’t learn new tricks, but we’re still struggling with keeping our little Nickie up to speed on some of the old tricks she knows! Her “sit” is somewhere before sitting and laying, and if you wait too long to hand over her treat, she pulls out her second favorite trick which is “speak”. 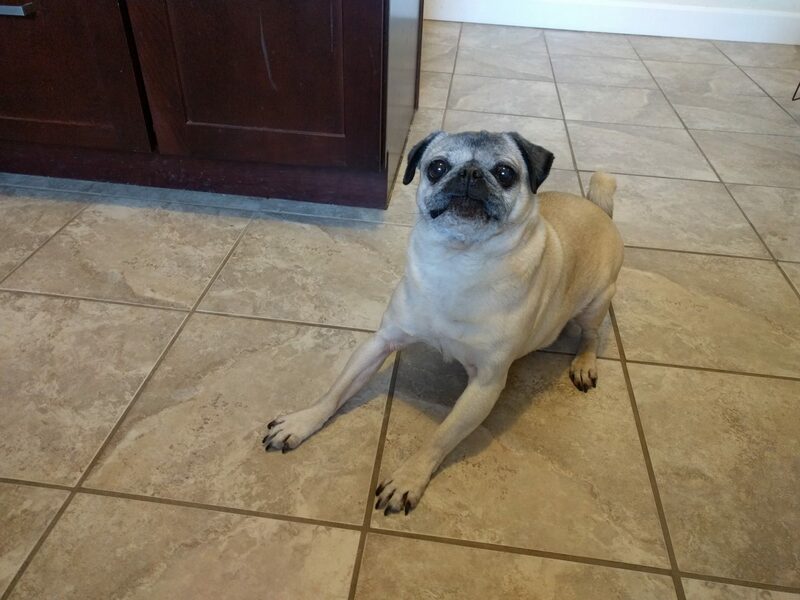 While Nickie may not be ready for a prime time doggie talent show, she is definitely the sweetest pug we know!